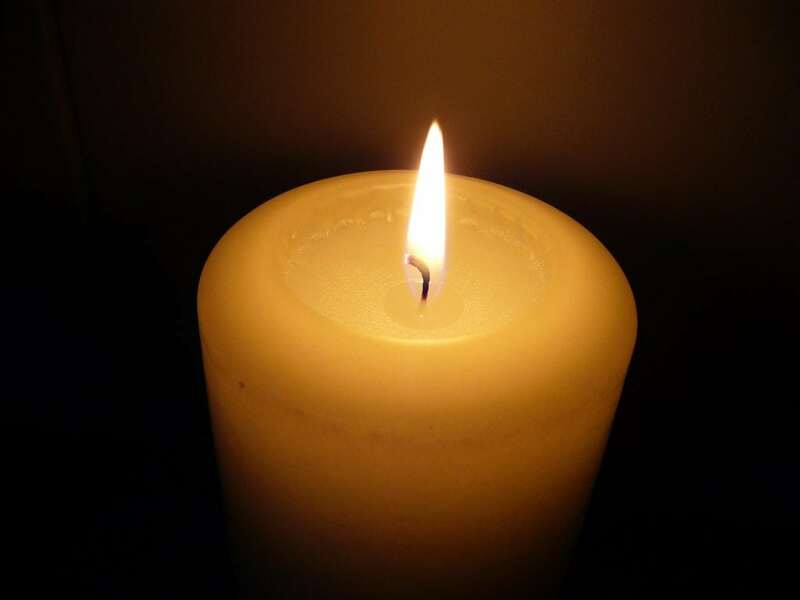 Gwendolen Ruth Nerrie, 99, of Beacon, and a native of Chester, England, died April 4, 2019. She was featured in a comic by Deb Lucke in the Oct. 5, 2018, issue of The Current. Gwen was born on April 30, 1919, the daughter of Robert and Emily Evans. 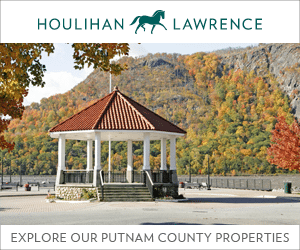 She emigrated to Beacon following World War II, married Capt. Irving Nerrie (whom she met while serving with the British High Command Hospital Unit near Liverpool), and worked at Nerrie Pharmacy. She was a longtime volunteer, teaching Sunday School at St. Luke’s Episcopal Church, coordinating the Grey Ladies at St. Francis Hospital, managing the lunch program at the Salvation Army, and, more recently, working the Welcome Table Soup Kitchen at the First Presbyterian Church and at the Beacon Reads bookstore operated by the Friends of the Howland Public Library. She also hosted toastmistress’ evening events, as well as “I would like them to say nice things about me while I’m alive” wakes during the past few years. Gwen is survived by her son, Dr. Brian Nerrie (Suzanne) of Colonial Heights, Virginia, and five grandchildren: Travis Nerrie (Lindsay) of Washington, D.C., and Erik Nerrie (Kelsey) of Los Angeles, and the three children of her late daughter, Judith Ann Tengen: Cheryl Sundluv (David), Denise Garcia (Ben) and Stacy Tengen. She also is survived by four great-grandchildren. Gwen’s body was donated at her request to New York Medical College. Memorial donations may be made to the Howland Public Library and the First Presbyterian Church of Beacon. 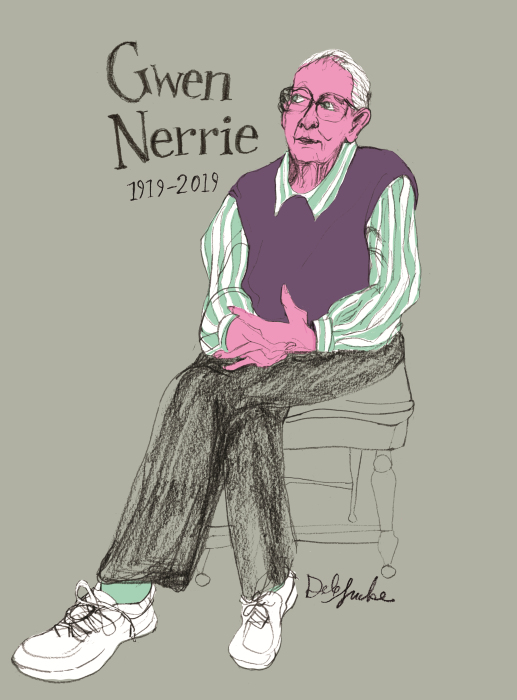 One Response to "Gwen Nerrie (1919-2019)"
I’d just like to respectfully add that the drawing of Ms. Nerrie is an illustration or a portrait, not a comic.